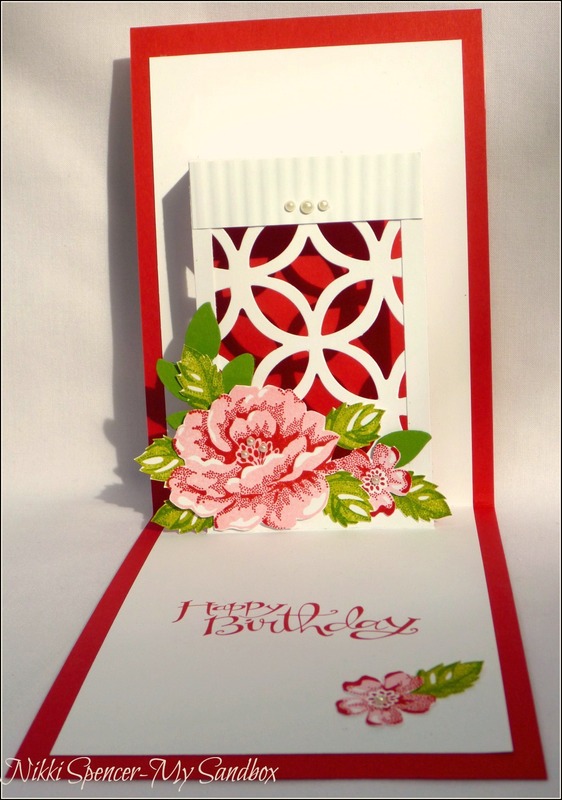 After some deliberation l finally decided to use my Stippled Blossoms set (yes, again) and after much searching and looking at Pop Up options, l kept to fairly simple and easy to construct version and it really was! Sorry about the wonky pearl top right, l hadn't noticed it until just now. It was perfectly aligned to begin with, but my thumb must have nudged it when l picked it up to photograph it...:0) Don't you just hate that! I totally guessed my measurements as l went and pretty much built it all around my Lattice Die cut. The little crimped panel at the top, is an add on to give the appearance of an "old Lattice Porch"...another Gran moment, as it did remind me of her and what she referred to as the "Fernery", it was full of gorgeous old terracotta pots with Maiden hair ferns and Stag ferns on the walls, with lovely old rambling pink roses poking through the Lattice. I hope you enjoy stopping by each of the Design Teams Blogs to see their fantastic "Pop-Up" variations and feel inspired to join in the fun. "Thanks for stopping by & Enjoy your day"
Hi all, just popping in to share a little fun....My gorgeous "Big Boy" grandson, Archer, has just celebrated his 4th Birthday......I know they say time flies when you're having fun, but l am blown away by how fast those 4 years have gone. But l have loved every minute and every opportunity l get for Nanny time and it has been an absolute joy watching him grow and become the beautiful boy he has. 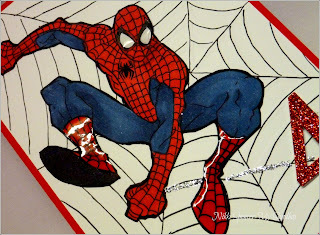 As you have probably gathered from the heading, he is, like many 4 year old's, totally nut's about "Super Heroes" and Dinosaurs.....His super hero obsession is mainly centered around "SPIDERMAN". 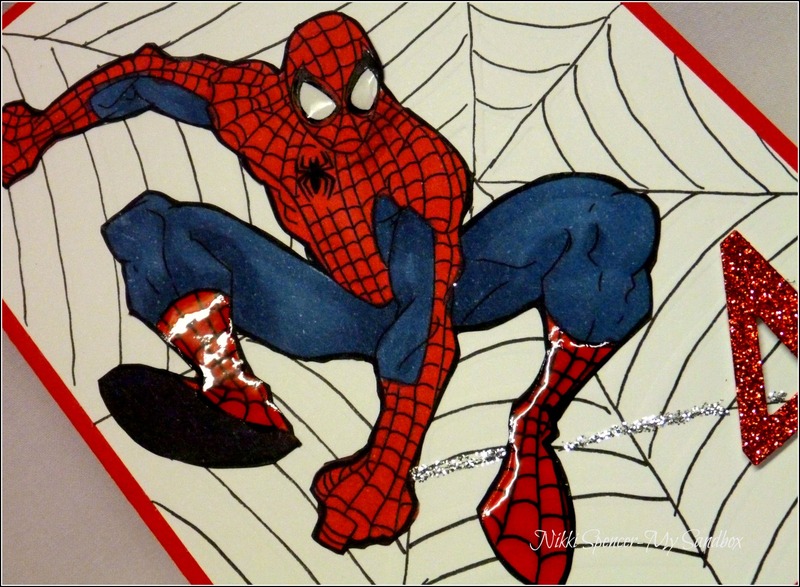 So of course, l couldn't help but make him a Spiderman card now could l? It was a bit of fun and definitely scored a few Nanny points! 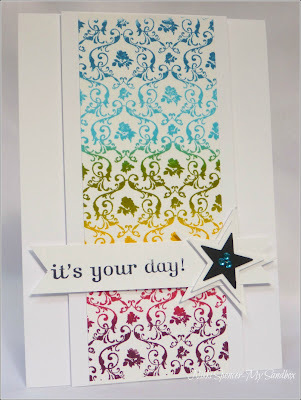 "Thanks for stopping by & have a great week"
For our Challenge this week over at Just Add Ink, we have a lovely colour challenge for you and the DT have used them to create some gorgeous projects and as you can see by those, these colours seem to work so well with many paper crafting styles. 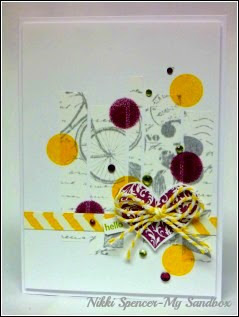 I used Whisper White for my card bases, Midnight Muse Card stock and DSP from the Comfort Cafe DSP Pack, So Saffron Card stock with the Bitty Butterfly Punch, So Saffron Grosgrain Ribbon, Pear Pizazz & So Saffron Markers with "Oh Hello" Blossom and Midnight Muse Ink with Sentiment from "Feeling Sentimental" stamp set. "Thanks for stopping by & Happy Valentines Day"
Hey again, back with another post for you and yes....it is either "Feast or Famine" around here these days! But l do try to share when l can. 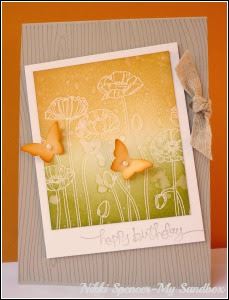 So here are a couple of cards using another technique from "Online card classes CAS #2"
This was a technique shared by Amber Kemp-Gerstel on using masks to create shapes, by using smaller stamped images within....Lot's of fun and it gave me an opportunity to use some of those tiny images from some of my sets that l don't use all that much! 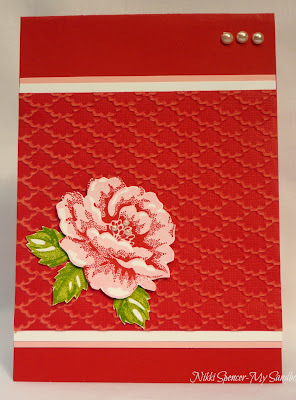 Here's another close-up of the crystal effects l added to both cards, the first pic has small dot's here and there on the apple like blossoms and this one on the red heart, l love this stuff, it's great for adding dimension to your projects, without adding more layers or embellishments. 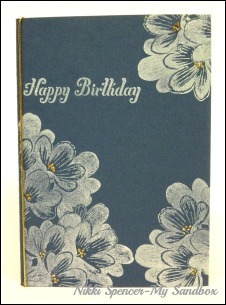 "Thanks again for popping by"
With the exception of twine & Rhinestones. 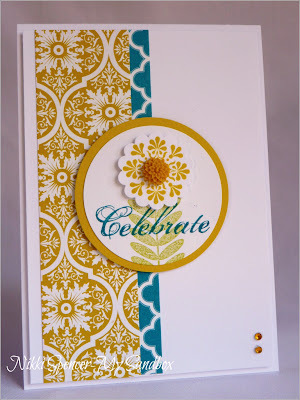 I decided it was high time l joined in the fun over at Stilladdinktive challenges and this week is "Spot that Stamp Set" week. 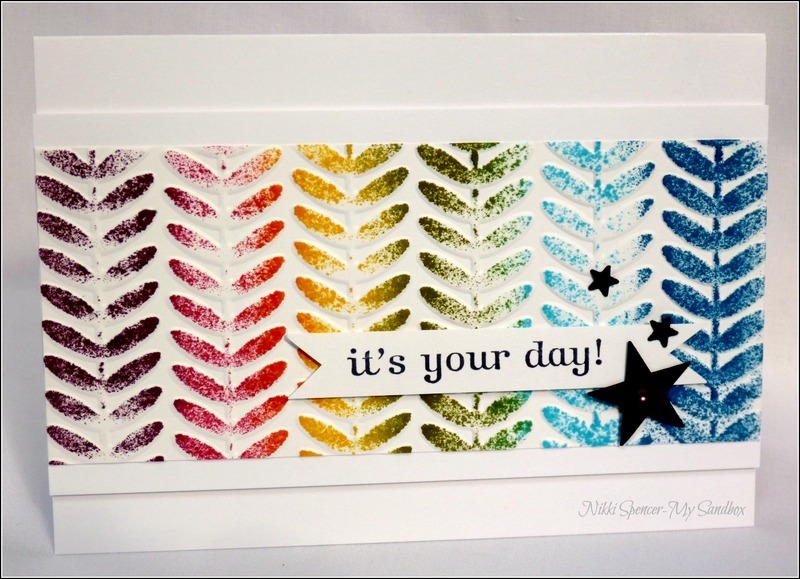 The girls have chosen to use three of the great new Stampin-Up Salebration sets that are now available. Feeling Sentimental, Madison Avenue and Vintage Verses, all three are high on my favourites list of SAB products. I have used 2 of the three, plus some of the lovely Sycamore street DSP that's also in there. 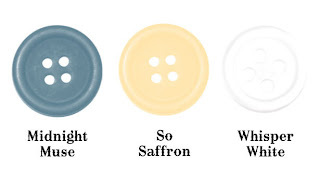 The colours are Island Indigo, Summer Starfruit & Lucky Limeade. The flower image from Madison Ave was perfect for adding one of my sweet In-Colour Dahlias, these were also in my Secret Santa gift from the lovely Patrice Easton and l have been waiting to use them on just the right project.......and this was it! Pretty CAS, which seems to be the style I'm leaning towards of late. 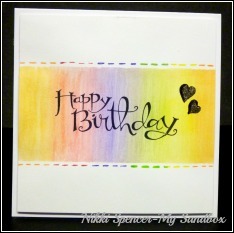 I do love the look and find the colours in this DSP more user friendly with this style...well for me anyway! 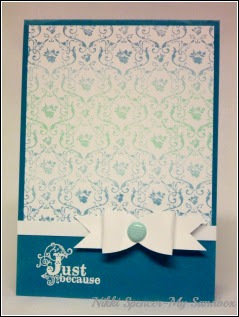 Bron and Kathy have done a great job getting Stilladdinktive up and running and the unique challenge style is great! 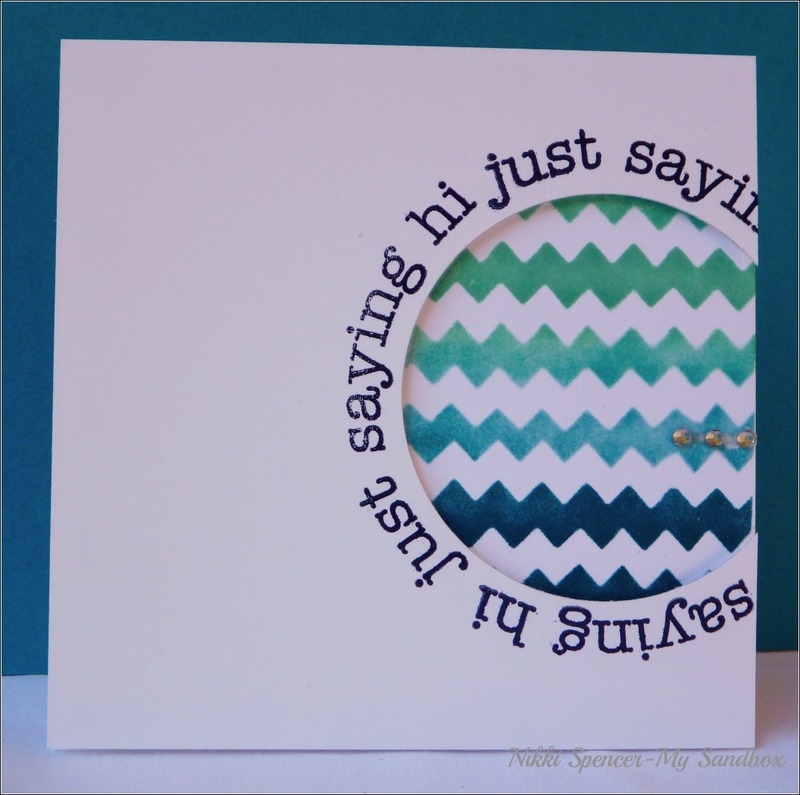 Don't forget to pop on over and have a peek at the lovely inspiration from the DT girls. "Thanks for stopping by & have a great night"
With the exception of Kaiser Rhinestones. 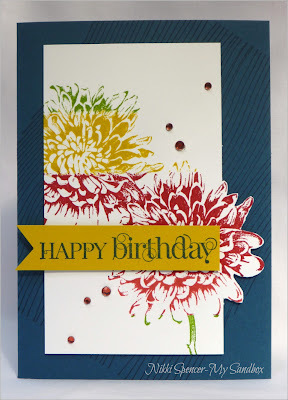 After watching a couple of days videos all in one go, l just had to skip day 7 for now and have a play with another Jennifer McGuire technique called DIY stampads.......OMG! This was so much fun, l just kept going! So now l have 3 cards to share. 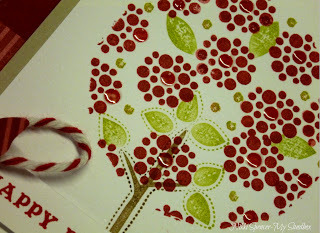 This technique uses re-inkers and foam pads, she also shared how to do a similar thing using baby wipes. l have actually done the baby wipe thing already, but using foam was so much better and it will last ages if you keep it in a zip lock bag. 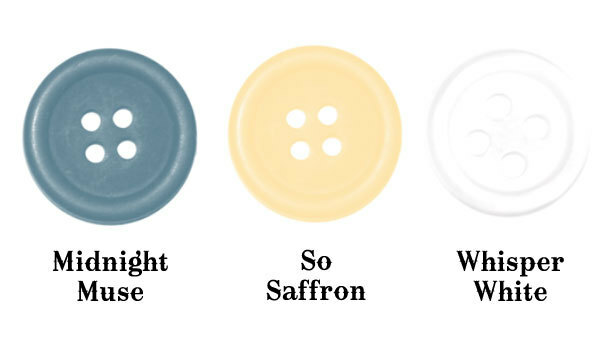 I went super bright with my colours, choosing from my SU Brights collection of re-inkers: Pacific Point- Tempting Turquoise-Old Olive-Daffodil Delight-Melon Mambo & Rich Razzleberry. 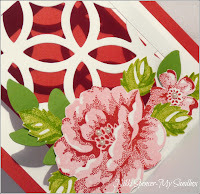 All Supplies are Stampin-Up Unless Noted. Well, it seems once again l am playing catch up with my class homework and finally l have some time and am able to sit down and share the great technique from Jennifer McGuire called "Patchwork Stamping". LOVE this idea, although in hindsight, my choice of colours could have been better. 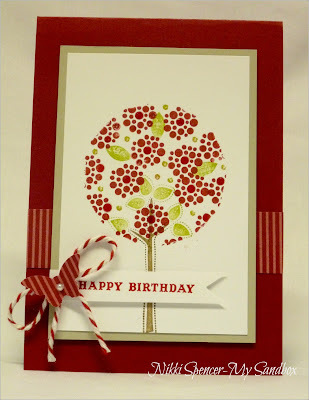 I used the colour palette from Stampin-Ups current In-Colours and although l love them all individually, l think maybe the Starfruit is a little strong and the Primrose Petals gets a little lost with this technique. It's a very striking effect and the process was fun. Well, that's it for now, l will be back soon with more catch ups to share. "Thanks for stopping by & enjoy your weekend"
Welcome to another Just Add Ink challenge and this week our challenge idea comes from Kim Badelt, She wants us to just add "HEARTS"....considering Valentines Day is next week, the timing is perfect for all of those "Mushy" cards for your other half, that's if you are into that of course! Hubby and l...not so much! 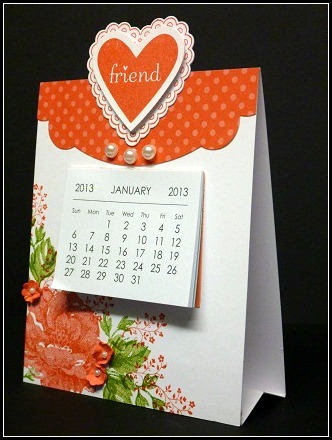 He claims that Valentines Day is everyday....Hmmm, me thinks he just forgets...lol. 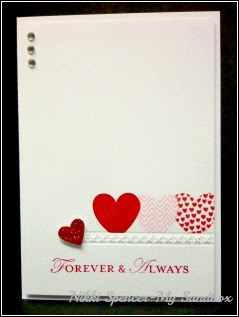 You can add your hearts for any occasion, not just Valentines Day and as you can see from the varied projects the DT came up with, hearts are such an easy addition to your projects. 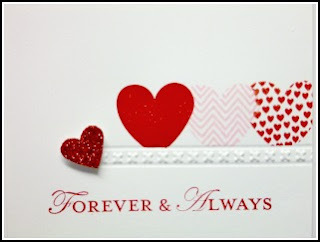 Anyway, l have two heart ideas to share with you this week....The first one is very clean & simple using some new Stampin-Up goodies and a masking technique. "Thanks for stopping by & have a great weekend"
OK, So l will keep this post short & sweet, l was a little excited to wake up to a Bonus Day email today and as with every class so far, l was not disappointed with the content, these girls are amazing! 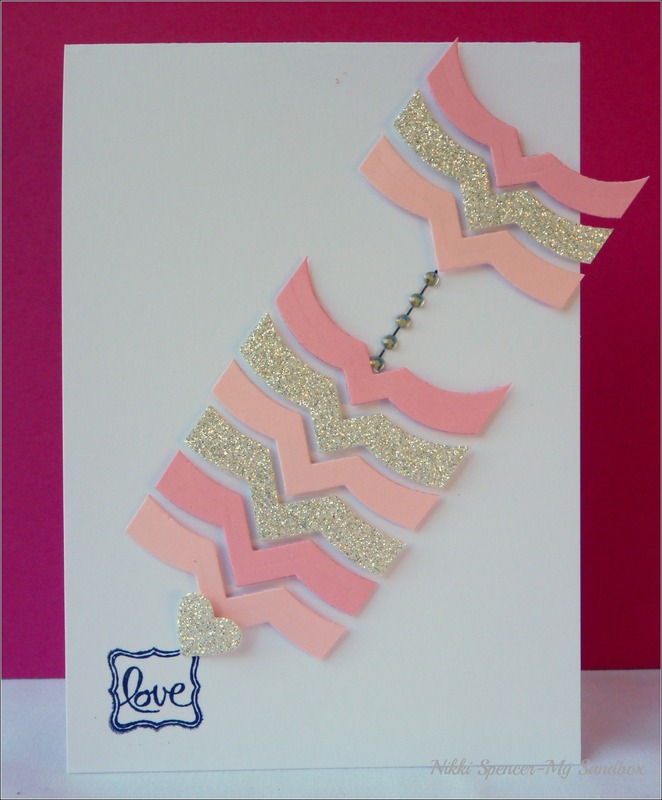 Today's class was all about Die Cutting. 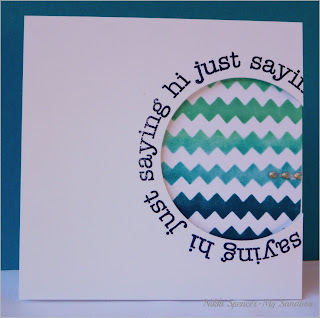 JJ Bolten shared some great tips on nesting dies and a cool card idea that l just had to attempt. 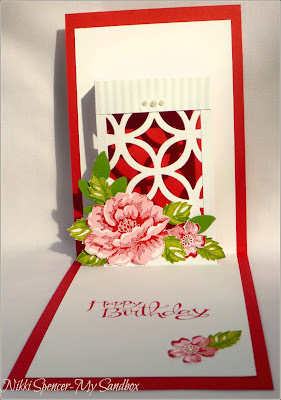 I say attempt, because l don't have any standard square dies to get the same effect, so l used my Window Framelits from SU and although my card is rather different, the technique was the same.....anyhoo, here's my first card. The second card l have to share is pretty much a case of the great card Kelly Rasmussen shared today. 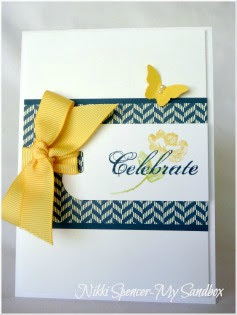 The techniques she showed were masking and altering your sentiments, l used the Tasteful trim die from SU to create the chevron pattern mask and just a note, you may want to tape it down really well, mine moved slightly in the middle, no biggie as l am keeping them as samples, but not great if you are giving them away. Well that's it from me for week one, l will be back during the week with more fun ideas from the talented ladies at Online Classes. Hero Arts sentiment and Kaiser Rhinestone strip. I'm back with another post sharing day 5 inspiration. 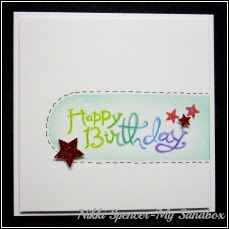 The class today is all about stretching your stamps, one stamp, 3 ways! 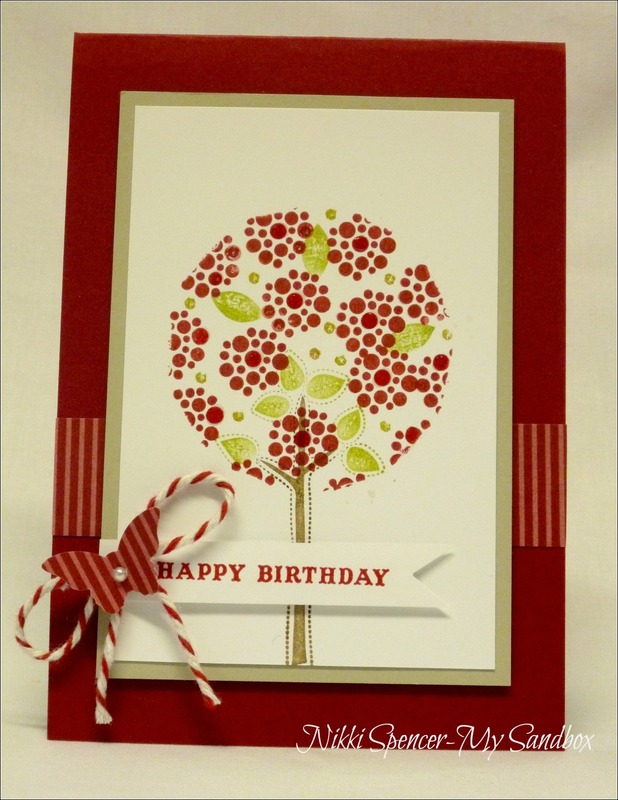 Card 2: Is another Julie Ebersole inspired creation, lovely and simple, but very effective and super quick to make. Although I'm thinking l should have gone with a brighter yellow than More Mustard. Card 3: Last but not least, this card inspiration comes from Donna Mikasa and uses a couple of the techniques acquired in the "Creative Chemistry" class l participated in last year. 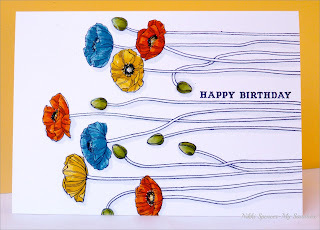 I really enjoyed these cards and the idea of using my Pleasant Poppies stamp from SU in very different ways makes me happy. As this is another stamp that has not had much love. It really makes you look at your stamp stash in a whole new light! The first 2 cards were coloured using Stampin-Up markers direct to cards and the colour was added to the last one using sponges and ink pads, l love the Polaroid effect of the layout on this one. 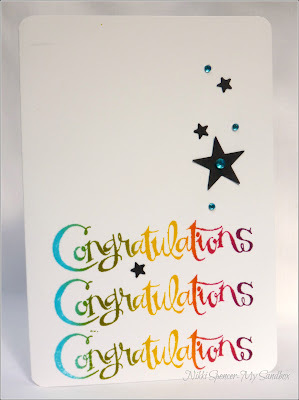 I know l said l would be all caught up with this post, but the lovely girls at Online Classes have thrown in a bonus day...yay! So l will be back to share again a bit later. All Supplies used are Stampin-Up. 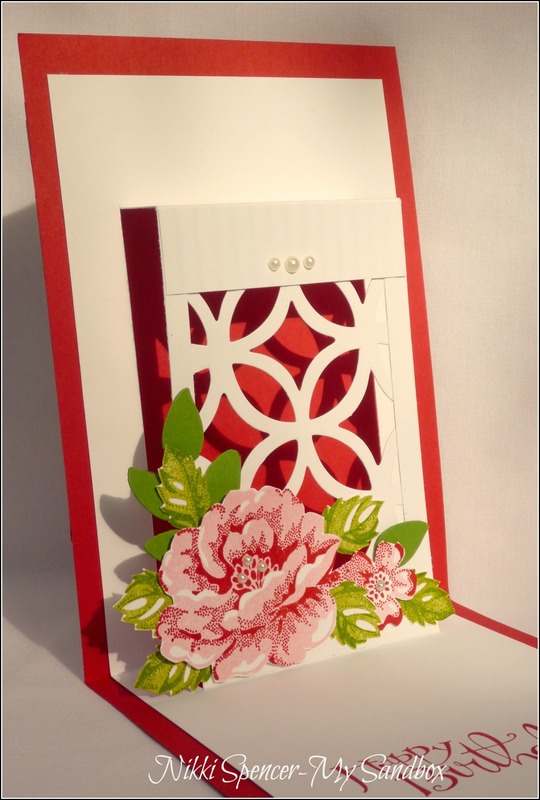 Back again to share my creations from day 4, the two cards I'm sharing are from Julie Ebersoles simple, but very effective technique. 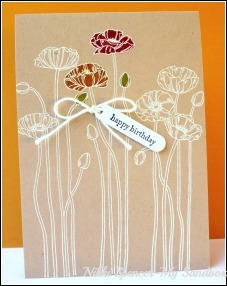 I absolutely loved her clean bold cards and the simplicity with which they are made. Today's class is all about "Plainly White", it covered the use of white card bases, white embossing and white ink and the various effects. 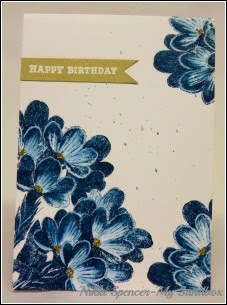 I used Stampin-Ups Whisper white Cardstock and Midnight Muse ink on this one and l just love the bold effect of the blue flowers on white. The second card is a reverse of this one, using Midnight Muse cardstock and Whisper White craft ink for a totally different look. 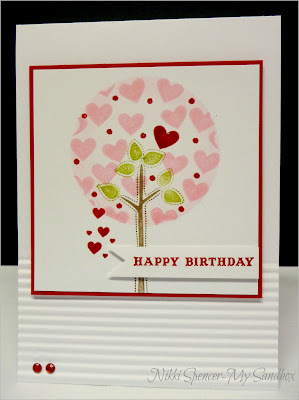 Stampin-Ups "Sweet Floral" stamp was perfect for these cards, as the large flower image really gives such a great impression. 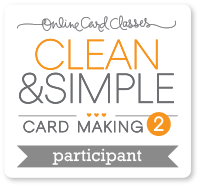 Well, I'm almost up to date with my daily class posts and have completed my cards for day 5. I will be back tomorrow to share those with you and then I'm all ready for Mondays class, hopefully l can stay on track with those. "Thanks for stopping by & have a great day"
With the exception of the gold cord. Good Morning! As l mentioned in my previous post, l have a little catching up to do on my blogging, so I'm here to share again. I have 2 cards to show you from Day 3. 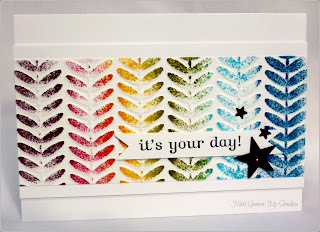 The first is a great new to me technique called "Gradient Stamping" from Jennifer McGuire. 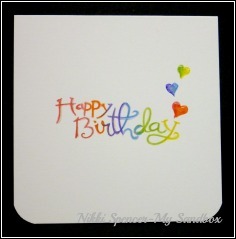 After much searching through my stamp stash, l realised I do not own any connecting style stamps like the ones used, or anything that l liked the look of, mine were all on the too fussy side to get the bold clean look of her cards. I ended up changing the technique slightly by using a background stamp and inking it up all at once, using a gradient of colours. 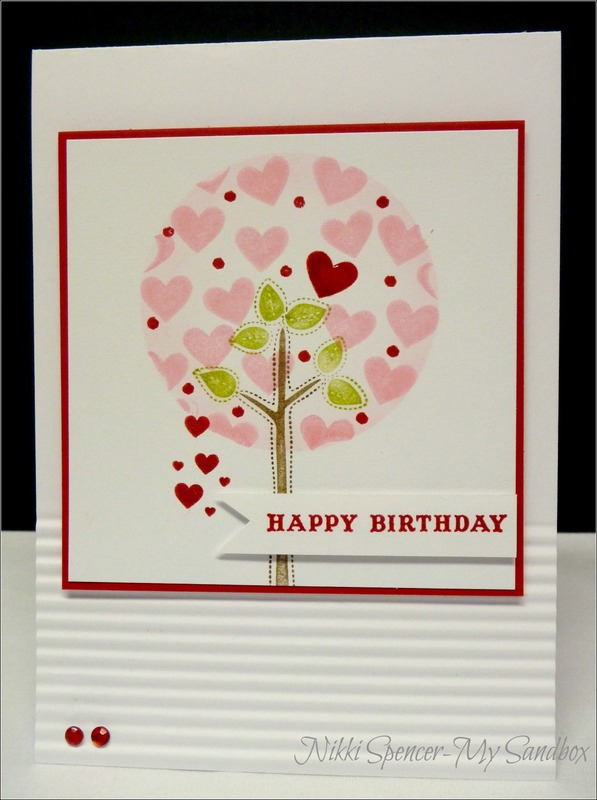 The second card was created using a fun idea from Shari Carroll, simple and super effective, using labels and sponge daubers. I am keeping all my class cards fairly true to the samples, as l am filing them away with the printouts for future reference and figure l will revisit each technique and add my own spin to them later. My apologies for the poor quality of the pics, my camera was determined to get it's own way last night and kept changing the flash off setting to on and not focusing properly and all sorts of frustrating things. But l figured better a little blah, than not at all. Hopefully l will get some cleaner ones later today to replace them with. "Thanks for stopping by & have a lovely weekend"
With the exception of the twine and rhinestones. As mentioned, l have completed at least one or two cards from each day, but l have struggled to take photos and blog them. So you will no doubt get a few updates from me in your blog feed over the next day or so, as l endeavour to catch up. Day 2 Had some fun colouring techniques from Jennifer that really appealed to me. Although, I'm not loving my efforts all that much, they are ok for a quick first attempt and l will definitely be revisiting this technique. I kept my cards to 4"x4", as l don't have Inktense Pencils and felt they looked a little washed out and not vibrant enough for bigger cards. 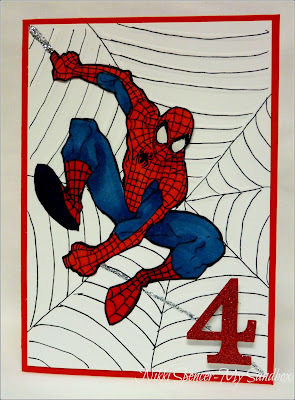 Anyway, day 2 down, 3 & 4 coming up shortly and l must say, l love both the cards and techniques from those days. 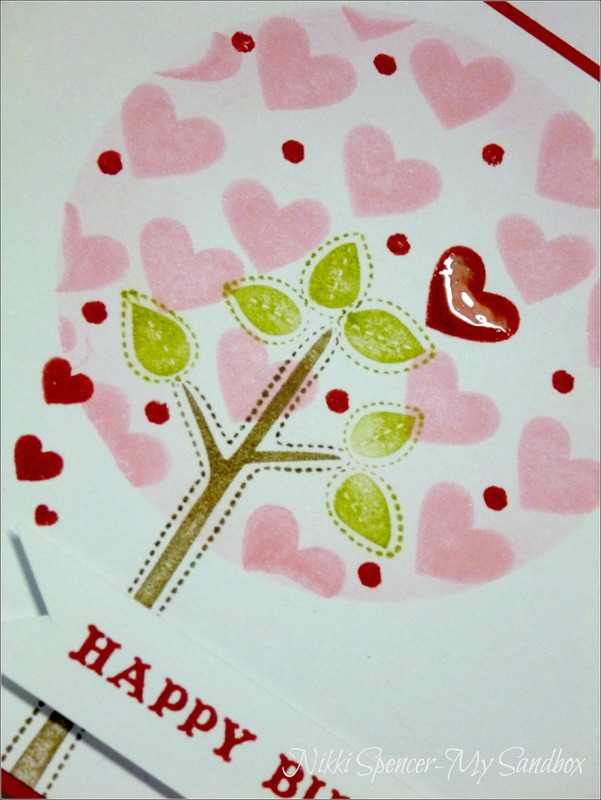 The sentiment is from Stampin-Ups "Sassy Salutations"